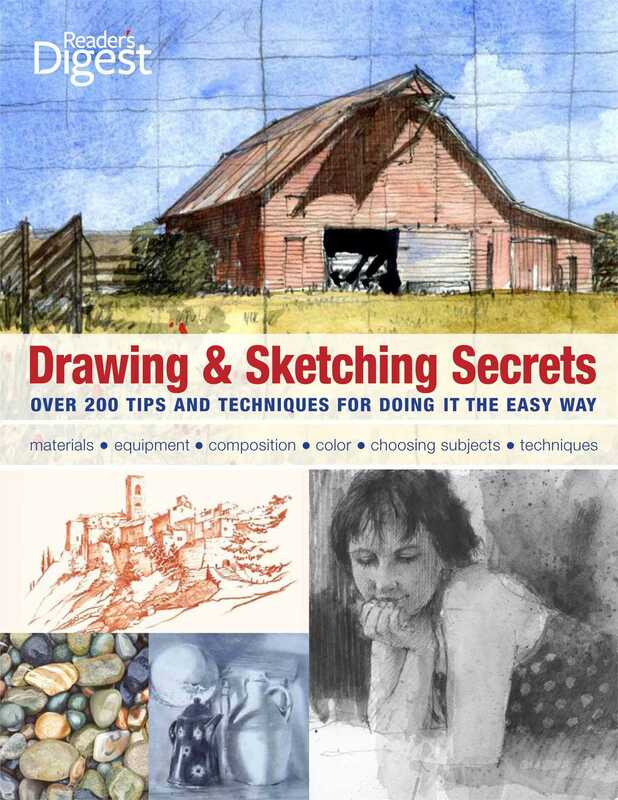 Learn how to improve your art skills by using Drawing & Sketching Secrets as your guide. In this marvelous book, you will find over 200 tips and techniques for drawing and sketching the easy way. Rediscover the joy of sketching and drawing. This beautifully illustrated book is an indispensable compendium of essential know-how and stimulating projects. Both inspirational and practical, the book includes over 200 tips and step-by-step techniques organized to help you build on each skill you learn. The expert advice and tried-and-true techniques that fill these pages have been gleaned from the author’s more than 30 years of experience. Beginners can follow processes step-by-step, while more experienced artists can dip in and out for help with specific problems or to get some fresh ideas. “Try it” and “fix it” panels placed throughout the book suggest ways to practice and develop new skills and avoid or correct common mistakes. Each topic, self-contained in a one- or two-page spread, is fully explained and illustrated with photographs and more detailed diagrams where helpful. Advance your artistic understanding, dexterity, and ingenuity with the over 200 secrets included to help you practice the skills you’ve learned. Open these pages and uncover a love affair with drawing and sketching.